The Scarecrow Summer Camp runs each day from 10am-1pm in the Scarecrow Village right in the centre of the village. The camp is for children aged between 5 and 12 years. The camp has proved very popular over the last few years providing children with a host of different activities over the week including: Clay Modelling, Drama, Sports, Arts and Crafts and much much more. This year every effort will be made to ensure that all materials used for Arts and Crafts will be recycled material. Visitors should take note that The Scarecrow Village, bouncy castles etc are closed during this time. 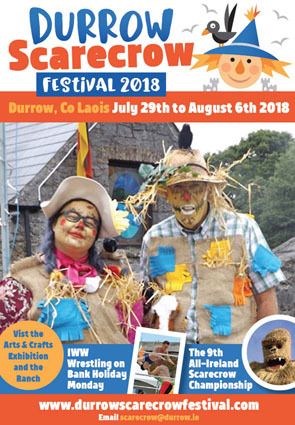 To join the other scarecrows in our amazing Scarecrow Summer Camp you will need to fill out an application form and get it to us with full payment in scarecrow currency. This is so popular that places are limited, so scare off them crows and get you application form to us as fast as you can. 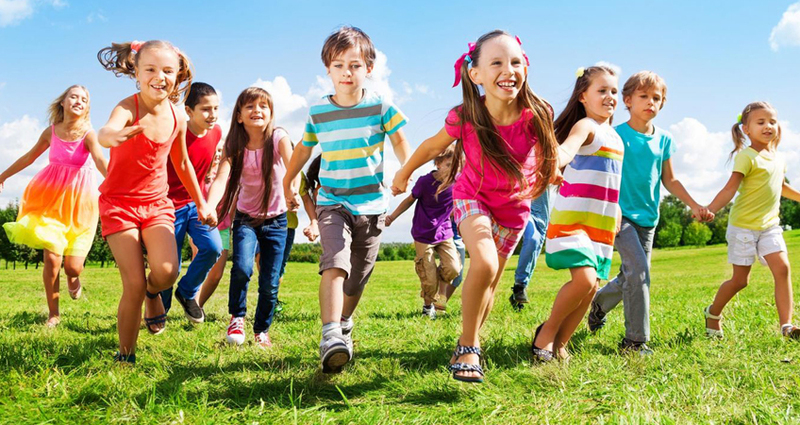 The camp is for kids aged between 5-12 years of age. €50.00 per child, €95 for two children, €140 for three children from the same family. Children will not be allowed to participate in the camp if they have not been pre-registered and their monies paid. All application forms with payment to be left in a sealed envelope into Happy Days Creche, Durrow. No straw in the envelopes please! Confirmation of places will be sent by text. Spaces are not confirmed until you hear from us. Age Limit 5-12 Years. So leave no straw unturned, get your application and fee to us fast and get you place in this cool Scarecrow Summer Camp!! !